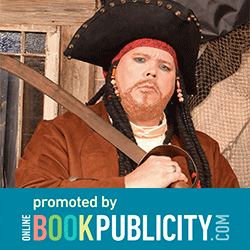 OBP Promoting Epic Fast-paced Animal Fantasy Adventure - The Legend of Buc Buccaneer by Daniel Bodenstein and Ronald Robrahn. A New Animal Fantasy Series that Make Us Wish We Weren’t Human. Check it out. Pirates, treasure and adventure, await the young-adult reader looking for a fast-paced fantasy adventure featuring a flock of the maddest birds in the Caribbean. 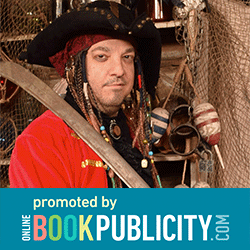 Join Buc Buccaneer as he sets out to discover who he is and how he can make his own mark in the world. The story follows the life of an ordinary rooster growing up on the streets of Tortuga. A simple task given to him by a friend quickly throws him into the world of piracy as he learns the truth about his own puzzling past. With only a few clues in hand, mixed with a few tall-tales spread from the local tavern, Buc and his crew set out across the Caribbean to solve a longtime maritime mystery surrounding one of Buc's childhood heroes. He quickly learns that he is not alone in his quest. Now, Buc, his best friend Mister Ayg, and his misfit crew must prove that they are the more worthy of the task. Battling a crafty adversary, and the corrupt local government, Buc hatches a plan and pushes himself to the limits to become the fowl he was always hatched to be.